These systems have been designed and configured for specific applications based on feedback from many users in close communication with Linkam. Each system represents a turnkey solution for the application. 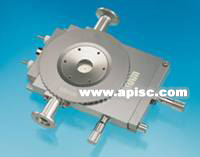 Pressurize the sample chamber up to 14bar and work in temperature range of -120 to 500C. Work with pressures down to 10-3mbar in the range of -196 to 350C. Examine Catalytic reactions in real time and analyse the carrier gas passed through the sample. 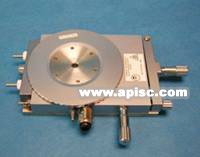 Capable of temperatures up to 1000C and pressure of up to 5bar. 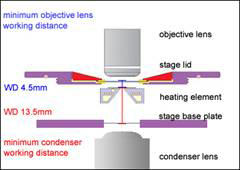 Exceptionally high temperature microscopy stage range from ambient to 1500°C. Simple easy sample loading and water cooled stage body. This system is a turnkey solution for advanced Fluid Inclusion temperature control applications. Complete XY motorized control with inclusion chip mapping software to store up to 99 inclusion locations. 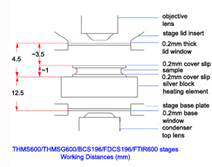 This system features the THMSG600 stage, along with the advanced MDSG600, this is the most accurate, temperature stable fluid inclusion stage in the world. Quickly determine collapse, glass transitions and drying front. 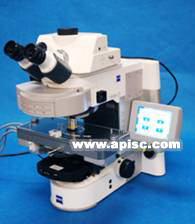 this system enables the user to closely observe all lyophilisation parameters and formulate ideal sample drying protocol. 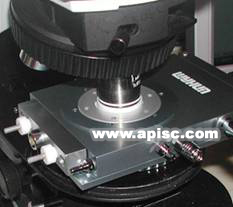 This system has enables 0.1°C isothermal control of liquid crystals allowing accurate determination of phase changes. 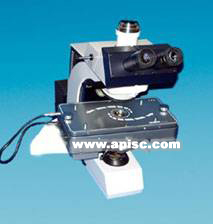 The stage also has electrical connectors within sample chamber to induce fields or make electrical sample measurements. This is a lower cost version of the Pro system with the benefit of using a peltier cooling element so that liquid nitrogen is not needed. 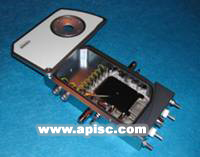 This is ideally suited to routine and short temperature range applications. specifically designed for precise temperature control IR applications, the heating stage has been optimised for the penetration of infra red. The stage is fitted with Zinc selenide windows. 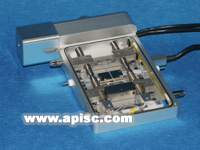 The CSS450 stage is the first optical rheology instrument to allow the rheologist actually see the effects of rotational continuous and oscillatory shear on the sample. 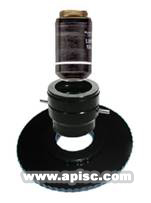 Unrivalled temperature and gap control make this system a powerful tool in all rheology labs. 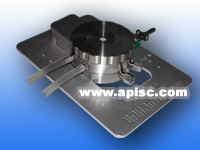 Featuring two precisely controlled heating elements and a motorized sample holder, this system enables the user to accurately control both size and rate of crystal growth through the sample by moving the sample across the heating elements set at a 0.1C controllable temperature gradient. This system is a peltier controlled version of the Pro system above. Although limited by a smaller temperature range, this system has no need for liquid nitrogen in order to cool below amibient. 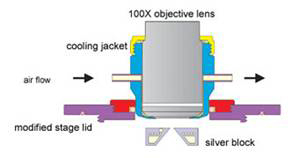 Novel single cell optical DSC system. 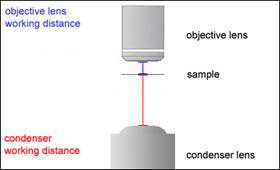 Observe sample morphology with microscopy and view online enthalpy plot simultaneously. Correlate optical events with energy changes. A number of different peltier cooled systems that can be used with inverted microscopes for appications such as in vitro fertilisation or investigating cells at specific temperatures without the need of liquid nitrogen cooling or sophisticated temperature control features.